When the paths are laid down by others, the adventure is to finding mediums to get acquainted by a newer atmosphere. 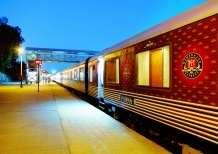 This is what dawns on a passenger of one of the eight luxury trains of India that are known for the distinctive experience they give. They are not a carrier from one place to another but are a destination on their own. The word ‘adventure’ fits perfectly whenever there is a debate of senses; here it is slightly different than trudging behind a local guide on rough rocky terrain or jumping on rapids. 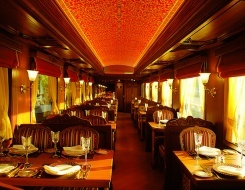 Luxury trains take passengers on a ride that has the power to reinvent the imagination by which ‘luxury’ is to take newer meanings. That happens in the form of extravagant interiors of suites for getting acquainted with the ways of Indian royalty, larger-than-life feel of bathroom for exuberant day, a five star restaurant for taste inquisitives, and friendly dining lounges to make friends of strangers. 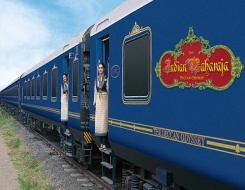 Train in India joins various parts of the country, but the journey becomes more cherished when word ‘lavish’ starts making sense the way it ought to be. 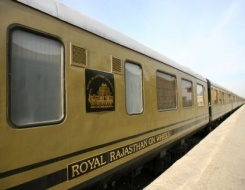 Luxury trains in India fulfill this very demand of the tourists where word ‘royal’ come into being associated with lavishness. 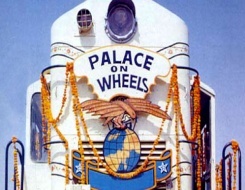 All of them are inspired from the important tourist destinations dotted across the various Indian states, like Palace on Wheels on Rajasthan, Golden Chariot on ancient architecture of Southern India, especially Hampi and on other dynasties. 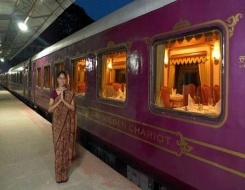 This goes on for some other Indian luxury trains as well.